When Skylanders hit the stores, this gamer couldn’t have cared less as it looked like some gimmick to sell boatloads of expensive toys for an OK looking 3D platformer…pass. Then came Disney Infinity, the same premise but loaded with Disney characters I love, and I was sold, the toys weren’t necessary for the game, but I was all over those wonderful little figures. Then after the Lego to life games hit, the toys to life gimmick went down like a crashing spacecraft. 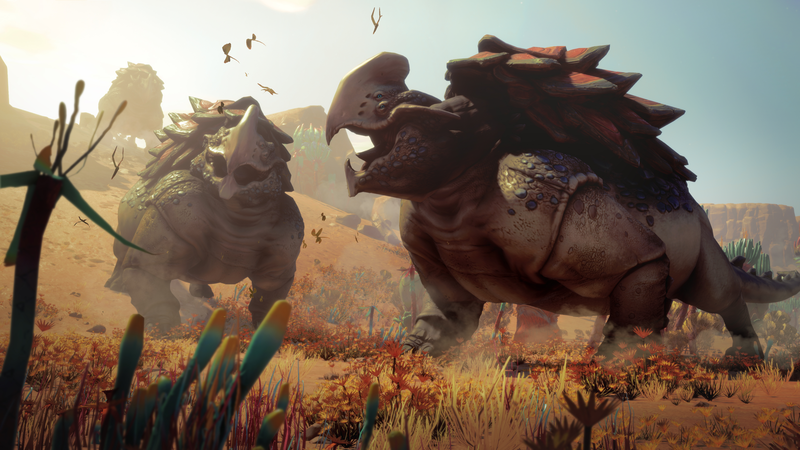 Now Ubisoft is going to have a crack at the toys to life genre with Starlink: Battle for Atlas, but is it way too late? What is actually surprising is that Starlink: Battle for Atlas doesn’t require the toys, and neither do you. Digital versions of the items are available, meaning you can play the whole game without having to think about the toys. I know this because I was given a digital copy of the game with no toys in tact to review and the game still stands up. 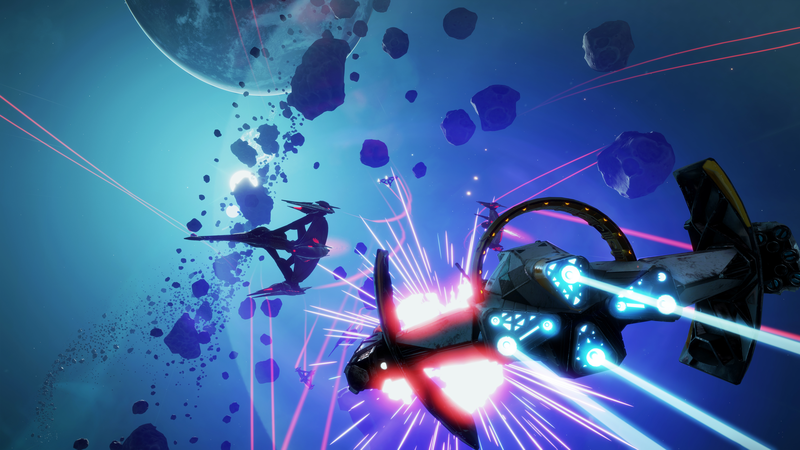 Starlink: Battle for Atlas tells a simple story, where the ship the Equinox is ambushed and destroyed. Short and simply put, you need to travel across multiple planets to get everything you need to get her up and running to beat the big bad guys. It’s simple and enjoyable enough thanks to the tropey but fun cast of characters. What is more impressive is how in the Switch version Starfox is integrated by having his crew pass by as the attack happens. They then decide to help the crew out and join the journey. The real fun of the game isn’t the story, but the exploration. You can fly slowly between planets or use hyper speed to plough through space to them, whereby you discover different ecosystems, with unique flora and fauna. You are encouraged to harvest, collect, and discover what each planet has to offer, aided by regular simple fetch quest type side missions thanks to locations like refineries on each planet. The story is at best vague in my memory now as I spent most of my time exploring planets, their inhabitants, and taking in the scenery. You spend the whole time in your ship, which can be switched around on the fly with toys, or in the star menu without. You can change the wings of your ship, its weapons, and the directions of said weapons and wings to your hearts content. I am a little embarrassed to admit I spent plenty of time making my weapons fire backwards because…why not? This is what makes the game invaluable as a toys to life venture, the toys don’t limit your experience, but enhance it if it’s something you enjoy. To be honest I did feel like I missed out a little because I like that kind of physical tat, but the game never felt hampered by the lack of it. My junk collecting, and loving self knew it’s available, but not in my hands. The game has so much content if you want to take your sweet time and explore. I regularly found myself acting like I did with No Man’s Sky, exploring or flying slowly between planets for the sake of it. This makes it perfect for the Switch, because you can easily kill a train or bus ride achieving little, but enjoying the time wasting. Combat itself is stock standard, certain weapons work well against certain enemies, and other light elements of depth like that. Because you’re always shooting from your ship there isn’t too much space for more depth, but there is enough weapon variety to at least keep you experimenting for the fun of it. Starlink: Battle for Atlas is an excellent game for someone who wants to spend some time exploring, shooting, and enjoying a simple albeit forgettable story. Whether the toys are your jam or not, there is still so much fun to be had here, so sit back and enjoy the Stars.